Just like watching movies that have won top accolades means that you're more likely to enjoy your time viewing them, you can also have better luck working with plants that have been vouched-for. More than just a popularity contest, award-winning plant lists are a great way to get familiar with plants that really perform. You can be sure that any plant who's received one of these prestigious honors will be an easy to grow, eye-catching variety. After all, these are the flowers that help set the standards plant breeders are aiming for. Who Chooses Award Winning Plants? Several organizations offer awards for outstanding plants and each has its own criteria for selecting winners. Some of the groups are regional and promote plants that are particularly well-suited to that climate; others are international in scope. Some promote only new varieties, while others award plants of outstanding merit, new or not. 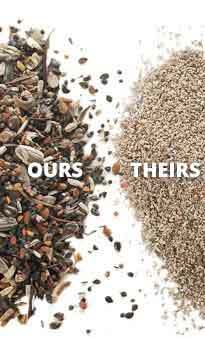 Some, like the non-profit plant trialers at All-America Selections, limit their choices to varieties available as seed. Many organizations pick winning plants in very specific categories, such as: Daylily of the Year, Hosta of the Year, and even the Urban Tree of the Year. Since 1990, the Perennial Plant Association (PPA) has chosen a stand-out flower variety to bestow their greatest honor upon: the Plant of the Year. With the entire membership casting their vote, plant contenders must be able to grow in a wide variety of climates, be easy to care for, and fairly-resistant to disease. Veggie varieties and annual flowers are also planted in trial beds and put through rigorous observation and testing before being selected and promoted as award winners. So what will the best-dressed gardens be wearing this season? You can bet this year's award-winning plants will be in vogue. However, if you're like us, your garden might wear the latest plant fashions but you, on the other hand, will be far less fashionable — unless old T-shirts and muddy work boots find their way to Paris runways.